An apology is an amazing thing. If you give an apology not only will you feel better, but it will strengthen your relationship to the person you are apologizing to because an apology will force you to see things from that person’s point of view. It is sometimes hard to apologize. We all hate to admit that we have made a mistake--that we are not as perfect as we would like to be. Even an insincere apology, can sometimes have an amazing result. You may start off just going through the motions, but often, in the process, you may start to feel genuinely sorry. Apologizing is simple when you remember the three R’s. I’m not talking about reading, ’riting and ‘rithmetic. The three R’s of apologizing are remorse/responsibility, reparation, and renunciation. Remorse and responsibility are combined because you cannot have remorse without taking responsibility. You cannot be sorry if you are unwilling to admit that you did wrong. 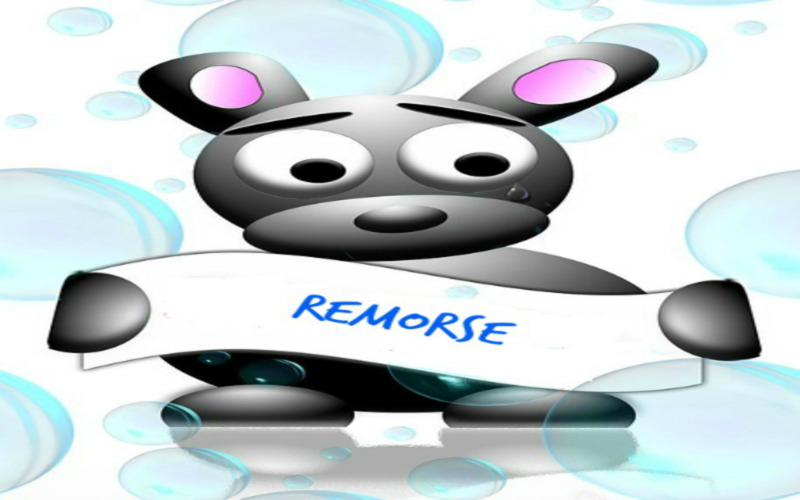 I’m using the word “remorse” rather than the word “regret.” Remorse means you are truly sorry. Regret often indicates a non-apology apology. The wronger who says "regret” may be only pretending to apologize. Why the word “if”? The wronger already knows that he has offended –the offended person or group has already told him that they are offended. He needs to own up to the fact that he has said or done something offensive. Another problem with the word "regret" is that it often means “I’m sorry I got caught.” You know, “I regret taking those steroids, embezzling the money, and so on. Yes, of course you regret it. YOU GOT CAUGHT. Here is an example of an apology that expresses remorse. Adapt it to your particular situation. Taking responsibility is a sub-set of remorse, so we are still talking about the first "R" here. There is no remorse without responsibility. I mentioned above that a sign of a non-apology apology is when a wronger says “if I offended anyone.” If you say “if,” it is a clear indication that you are not accepting responsibility. Without owning up to your misdeed, there can be no true remorse. Do not give an apology with a “but.” The word “but” is usually followed by an excuse. The word “but” means that the person is not taking responsibility for what he did. Here’s another example of the word “but” negating the apology because the wronger is not taking responsibility. “I’m sorry I lost my temper, but you made me do it.” If you blame someone else for what you did, it is not an apology. Sometimes people caught in wrong-doing give a non-apology apology when they say, “I made a mistake.” For example, politicians often use the I-made-a-mistake response when caught cheating. No, they did NOT make a mistake! A mistake is doing something wrong without really intending to do wrong. For instance, if you misspell a word, that is a mistake. It is not a mistake when you make a decision to do something that you know is wrong. Presumably the politician knew that cheating was wrong, so it was not a mistake. Trying to say it is a mistake is just trying to avoid taking responsibility for the decision he made. Undo the harm you have done to the fullest extent possible. You need to make the injured party or parties whole, as the lawyers say. First, you can try to restore things to the way they were before you did something wrong. Perhaps you spilled wine on someone’s carpet. You can offer to pay for having the carpet cleaned. Perhaps you broke something that belonged to someone else. You can offer to replace the item. If you can’t undo the harm, then do something to make it up to the person harmed. You can do a favor for the wrongee. You can give the wrongee a gift--perhaps send flowers with a written apology. The thing offered as reparation does not have to be a big deal or even commensurate with the harm done. It can be a small gesture given as evidence of your desire to offer recompense. Renunciation indicates that you understand that you did something wrong, that you take responsibility for what you did, and that you are truly sorry for the offense. Without renunciation, an apology is meaningless. Please vote to give your opinion. How many "R's" are there in an apology? There are 4 R's. No fair counting remorse and responsibility as one. There are 4 R's, but that's OK because "3 R's" is a better titled than "4 R's." A few years ago, Sony apologized to 100 million PlayStation users whose personal data was compromised by a hacker. Sony admitted that they failed in their duty to prevent the security breach and the apology was given with a 90-degree bow. That’s the first R--sincere remorse and taking responsibility. Then Sony gave away 30 days of free downloads and access to premium games and music. That’s the second R- reparation. Sony promised to beef up security. That’s the third R--renunciation--it won’t happen again. The Japanese are very good at apologies. We should all be more like the Japanese. However, if you feel the impulse to commit hari-kari--you just may have taken it too far. If you are the wrongee, do not demand an apology. One reason there are so many bad apologies is that we so often demand an apology. When someone is forced to apologize, it is just a charade. 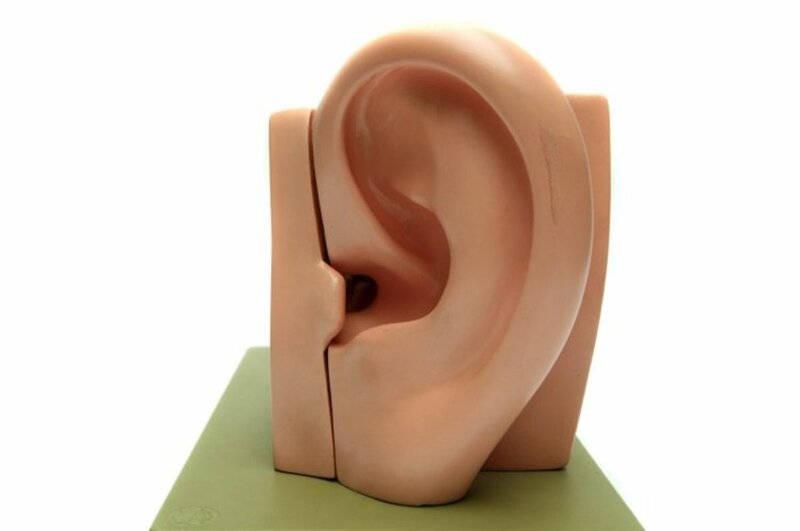 Did you ever see two children who were fighting in the playground and their parents tell them, “Say you’re sorry." They look down at their feet and mumble “Sorry.” You know they don’t mean it. They have their fingers crossed behind their back. In politics, one side is always demanding an apology from the other. This is the “exaggerated umbrage” ploy. The side demanding an apology doesn’t really want an apology, and they are certainly not going to forgive. The game is to force the other side to admit that they were wrong in order to score political points. Even though you don’t demand an apology, it can be helpful to hint that an apology might be appropriate. If you are feeling hurt, it is important to tell the other person how you feel. Perhaps the other person is not aware of how you feel. Use “I” a lot; avoid the word “you”. (Not “you did wrong,” but instead “I feel hurt.”) Don’t accuse or blame the other person. A calm and honest discussion of how you feel may lead to an apology. 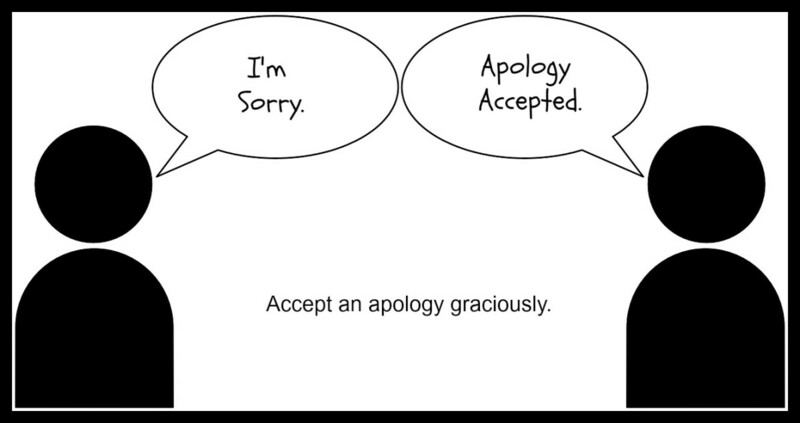 When an apology is given, accept it graciously, and then let it go. I’ll be writing another article soon: "How to Forgive." Does Love Mean Never Having to Say You Are Sorry? Does love mean never having to say you are sorry as Ali McGraw told Ryan O’Neal in the famous movie, Love Story? Absolutely not! A clip from the movie "Love Story"
Who is sorrier—men or women? Women apologize more frequently than men. However, both men and women are equally likely to apologize if they feel they have done something wrong. It is not that women are more likely to do things that require an apology. It is because men are less likely to feel that they have done something that needs an apology. Men set the bar higher. 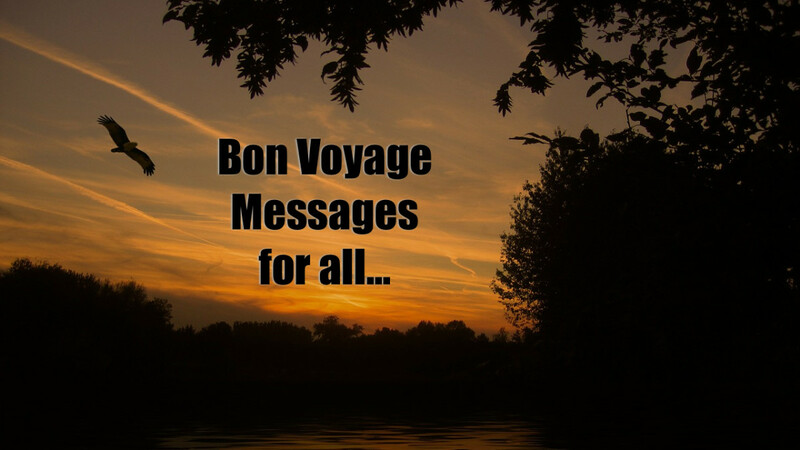 Brenda Lee Sings "I'm Sorry"
Do you want to know more about apologies? Have you been been thoughtless, dishonest, hurtful, or just plain stupid? An apology, done right, can provide an opportunity for a new beginning. This book is a gem--one of the best how-to guides for improving communication and relationships. What Constitutes a Real Apology? What do you think? Do you any advice or a story to tell about apologies? Greenmind: I'm so pleased to know you like my work. Thank you for your comment. wow what a wise and thoughtful hub! Beautiful work. 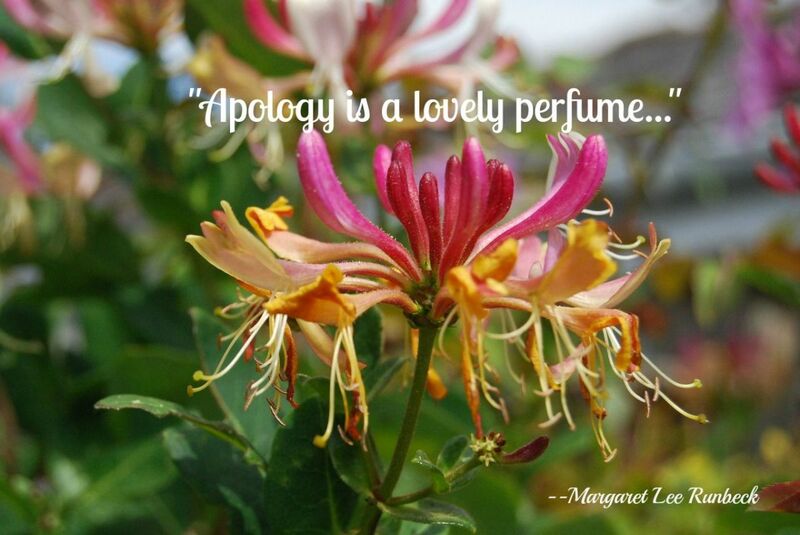 Is there someone in your life who needs an apology from you? Do the apology properly with the 3 R's. I have 93 hubs and this is the one with the most views, even more views than my hubs that were HOTD or EC. Is there an apology in your future? It's getting close to the new year. Why not wipe the slate clean for 2015? Take the initiative, even if you were not at fault, and apologize.